Michele Delory is the owner of Modern & Minimalist and is based in Toronto, Canada. I have a background in marketing, mostly in the travel industry (travel is a passion, I always try to do something related to what I love), but discovered my passion for minimalism and wanting to help others live with less. 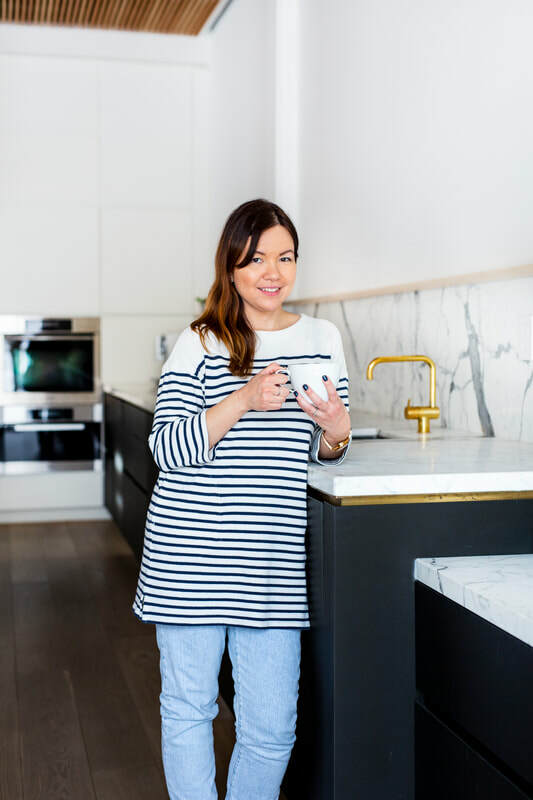 Even though I am following the KonMari Method which is not minimalism, I do live more of a minimalist lifestyle which really helps me to be more mindful of what I have and what I buy. I started living like a minimalist in 2016 and shared my journey towards minimalism on Instagram with my account "Modern & Minimalist" that eventually became my business name. I love all things interior design, decor, home organization and tidying, so I try to inspire people with images and advice on Instagram. Ever since I was a child I have always been organized and tidy by nature, and having an eye for design and creativity has been inherited by my late father who was a professional photographer. My minimalist journey all started from watching "Minimalism: A Documentary About the Important Things" on Netflix and then reading "The Life Changing Magic of Tidying Up- The Japanese Art of Decluttering" and "Spark joy" by Marie Kondo. The perspectives and methods that I learned really spoke to me and I felt that I already had this mentality, but it really motivated me to live this way. I really liked Marie Kondo's method because it doesn't mean to live with nothing, but to live with what "sparks joy" and has a purpose, which I feel will help people who are afraid of minimalism due to the thought of letting go of too much. I also love that this method is influenced by a Japanese art of de-cluttering, as Marie Kondo is Japanese, I really love the culture and how minimal and functional Japanese homes are. I believe that having a home that is clutter-free and filled with only what sparks joy, will allow you to live a more peaceful and stress-free life. 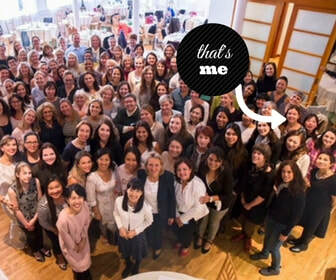 Group image of the KonMari seminar in NYC 2017. Image courtesy of KonMari Media. Michele & Marie Kondo at the KonMari Consultant Seminar in NYC on Oct. 2017. Image courtesy of KonMari Media. Last September 2017, I attended a three-day KonMari Consultant Seminar in New York City and completed my training last March 2018, and became an official Certified KonMari Consultant , I am #101 in the world and I'm ready to train others to declutter and tidy following the KonMari Method™. As a KonMari Consultant, I want to help and support people to learn to live with what they love and to be more mindful of what you choose to have in your life, but also to experience the magic that comes after when completing the KonMari Method. I really value time and living in a space that you will love, so you feel good to be at home. *I'm a mom to a seven-year old boy who loves Pokemon, Karate and loves the Japanese culture just like me...he rather travel to Japan than Disney World in Florida! *I have a side gig as an Airbnb Superhost welcoming people from around the world to stay in my home in Toronto, as well being a former Shopify e-commerce merchant. *I was born in Toronto, Canada and my background is half-Irish/British (Dad) and half-Filipino (Mom) which I am proud of. This was a photo of Marie Kondo and I at the first annual KonMari Consultant retreat last July 2018 at the Umstead Hotel & Spa in Raleigh, North Carolina. Marie Kondo is signing my very own Hikidashi box that she gifted the KonMari Consultants with. Some of the wonderful KonMari Consultants that attended the retreat who I had the pleasure to meet and connect with. I love my KonMari tribe.